Do you wish to improve your public speaking ? Do you worry about making presentations in front of other people? Are you nervous about giving a best mans speech? Would you like to be able to speak at meetings effortlessly? ￼The ability to communicate effectively, in public, or in private. Is an art; it is a social grace; it is a skill that can be learned, harnessed and developed. HOD Speakers club can help you to discover and improve your communication skills at your own pace, while teaching others at the same time, in a friendly, welcoming and supportive atmosphere. 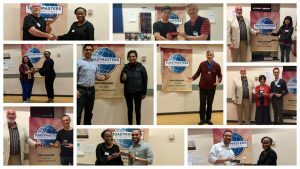 Through our friendly and supportive environment the Toastmasters self-paced program allows you to build confidence with each speaking assignment. Constructive evaluation is the heart of the Toastmasters program and each time you speak an evaluator will point out strengths and suggest improvements. At first you’ll be applauded for your effort; later you’ll be applauded for your skill. 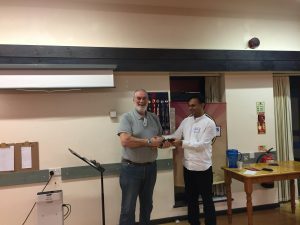 The club could not be more diverse with members from many different countries and cultures and ranging in age from 20s through to 70s and everything in between. We have many members for whom English is their second language and yet able to deliver thought provoking speeches in English.